The International Network of Engaged Buddhists (INEB), Secretariat office based in Bangkok, Thailand, presents its report for the annual year 2011. The INEB network continues to be instrumental at activating Buddhists and other like minded persons and organizations around the world as it seeks harmonious relations through raising awareness and accountability for our actions whether as individuals or organisations. Action: The success and positive impact of INEB?s work depends on how issues are framed in combination with the particular method used to take action. During 2011 the Young Bodhisattva programme included three components for building future leaders and activists which were the international internship programme, a Socially Engaged Buddhist (SEB) training course and an international youth volunteer workshop. The first cross border peace walk – Dhammyietra – between Thailand and Cambodia took place. 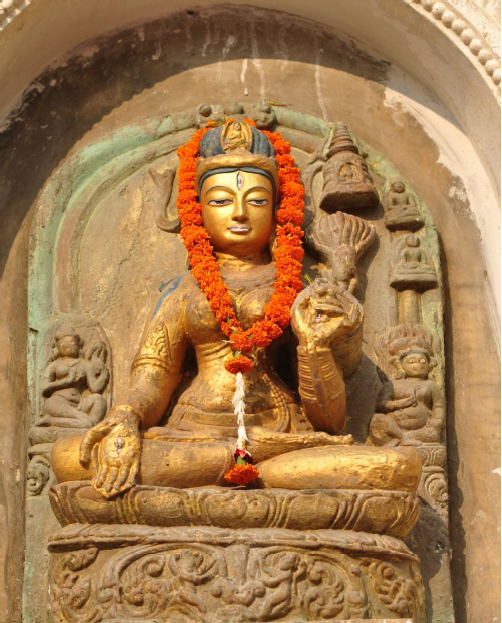 Other areas INEB focused on were Buddhist economics; convening an international Buddhist art gathering; creating a Right Livelihood Fund for socially conscious investors and sustainable development through social enterprises; discussing how to assess the needs of women in Buddhism; meeting to examine the need to revive Buddhism in India; and preparing for the climate change conference in 2012. Networking: During 2011 the network activities certainly had a positive impact strengthening the network?s ability to work effectively, as well as renewing existing relationships and forming new ones. The large network group process was guided with the meeting of INEB?s Executive Committee and Advisory Council following the biannual conference in Bodygaya, India. INEB?s regional Asian hubs are reaching out effectively within their geographical areas. One good example is that Think Sangha met for the fifth time and also conducted a study tour in India as it experienced the varied ways Buddhism is practiced there. Relationships with Western Buddhists were also strengthened during a meeting of International Collaboration on Three Continents that took place in The Netherlands. The most dynamic and far reaching networking activity was the biannual conference that took place in Bodhgaya, India, which attracted Buddhists from all traditions and other like-minded persons from thirty one countries. Operations: INEB?s leadership team provided more stability and consistent vision during 2011 that positively impacted approaches to implementing programmes. As a network organization INEB?s organizational structure is composed of Patrons, Honorary Advisors, an Advisory Committee and an Executive Committee. The Advisory and Executive Committees convene joint annual meetings. The organisational structure was revised to be more inclusive and representative of INEB?s network during the joint meeting of the Executive committee and Advisory Council in October. Specific information regarding the organisational structure is available on INEB?s website ? www.inebnetwork.org. The Secretariat?s office is based in Bangkok, Thailand, where it coordinates network activities with a very small staff under the leadership of the Secretariat. Programme activities and new initiatives are guided by working groups composed of network members and partners. Their outreach and communication efforts through media/public relations and publications have also expanded its scope and effectiveness. INEB and its partners. It also includes information about finances and future activities in 2012.